Funeral prayers in absentia were offered for slain Al Qaeda chief Osama bin Laden in various mosques in Jammu and Kashmir capital Srinagar and other towns after the congregational Friday prayers. 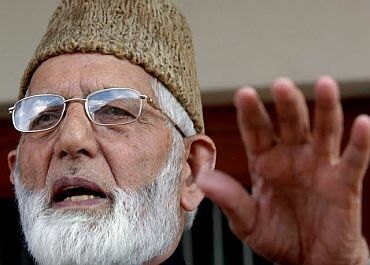 The call for holding funeral prayers for Osama was given by hardline Hurriyat Conference leader Syed Ali Shah Geelani. Geelani held funeral prayers for the slain terrorist in Batmaloo area, saying it was his religious duty to hold prayers for the "martyr". "Religious scholars have expressed anger and resentment that after the martyrdom of Osama bin Laden, his body has been buried at the sea. We have today tried to fulfil our religious duty (by offering the funeral prayers)," he said. Geelani, who had on Thursday asked people to hold prayers for the slain Al Qaeda leader, held the funeral prayers, led by a local Imam, amongst hundreds of people after the Friday prayers. Officials sources said prayers for bin Laden were held at Samandarbagh, Sarai Bala, old Barzullah and inside the premises of the Jammu and Kashmir high court. They said reports of the prayers were also received from Awantipora, Pulwama, Baramulla, Sopore and Kupwara towns of the Valley. After the funeral prayers at Batmaloo, Geelani also prayed for the safety of Pakistan, saying it was an atomic Muslim country facing threat from the entire world. "Pakistan is the only Muslim country which has atomic power and today it is surrounded by dangers from all sides. Everyone is trying to destroy its atomic power. Everyone of us should pray before Allah for the safety of Pakistan," he said. The Hurriyat hardliner, who was released from house arrest an hour before the Friday prayers, said peace between India and Pakistan is possible only if Kashmiris are given the right to self-determination. 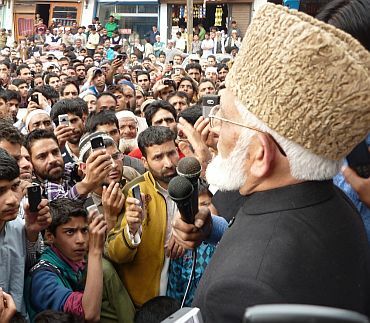 Geelani said peace cannot be established in the world until Palestine is free and Chechnya and Kashmir are given their right to self-determination. "We want peace but peace cannot be achieved until those countries which have been enslaved are not freed.. until Palestine is not free, until Chechnya is not given their right to self determination, until occupational forces do not withdraw from Afghanistan and Iraq," he said. 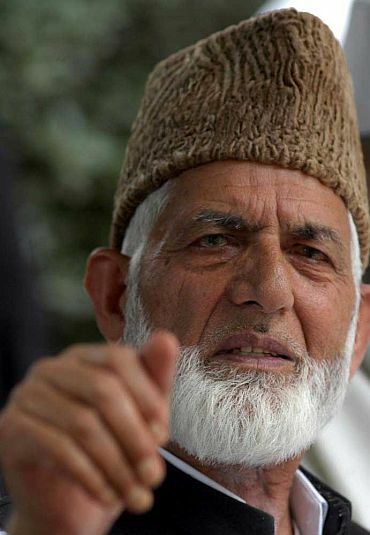 Geelani, however, said his struggle will be peaceful.